The video ‘If apps were people’ was released on 17th May 2017 and in one of the scenes showed up a number which some people started spamming afterward. AIB has been hoisting flags of success and garnering awesome feedback on every work which gets released under their banner. We all love them for it but like many others before them, some mistakes are bound to happen. This time, unintentionally leaking a number dragged the team of AIB in the pool of trouble. 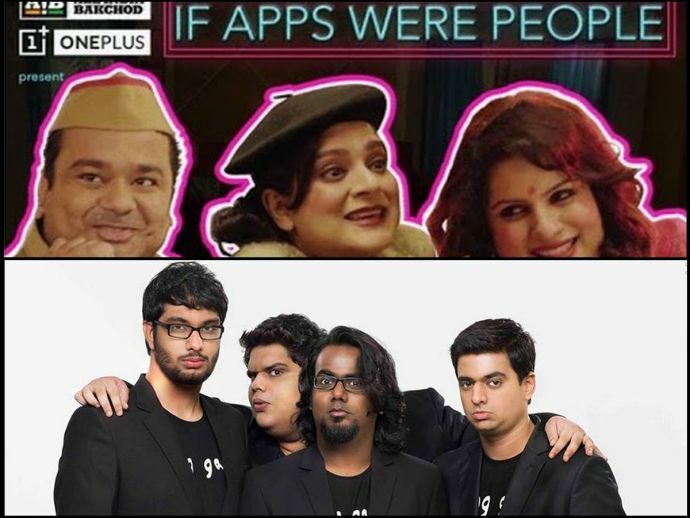 Remember the video - If Apps were people? Where the protagonist Supriya is trying hard to fall asleep but the apps in her phone don't let her? In the video at exactly 4.34, a character reads out a phone number for Supriya, which happens to be that of Rohan Joshi in the reel life but in real life the number has turned out to be of a woman Rohina Chhabra living in Karnivihar area of Jaipur, Rajasthan. "All of a sudden one day I began being bombarded with calls. I realised something was amiss when one of the callers informed me that my number was displayed in an AIB video. The abusive language in the video made matters worse, as callers demanded to speak to Rohan. It was traumatic. I had to take care of my newborn and was fed up of informing the callers that it was a wrong number." For every action there is an equal and opposite reaction and for the team of AIB it was no less than a nightmare. An FIR, a copy of which has been accessed by DNA, has been filed and the names Tanmay Bhatt, Ashish Shakya, Rohan Joshi, and Gursimran Khamba. They have been booked under Section 66 C (Punishment for identity theft) of the Information Technology Act registered at Karnivihar police station. "As soon as the police informed us about the incident, we made sure that the subtitle with the contact number is blurred and the dialogue is beeped. We agree that it was a mistake but we did not intend to harm anyone." "We will inquire about the incident and adequate action will be taken in this regard."